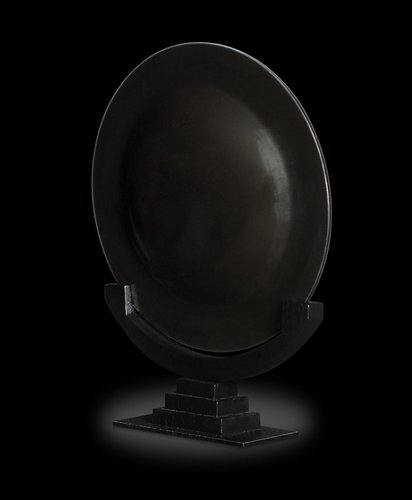 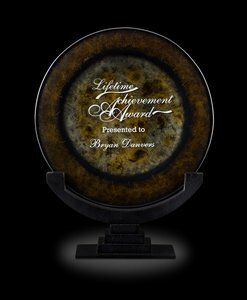 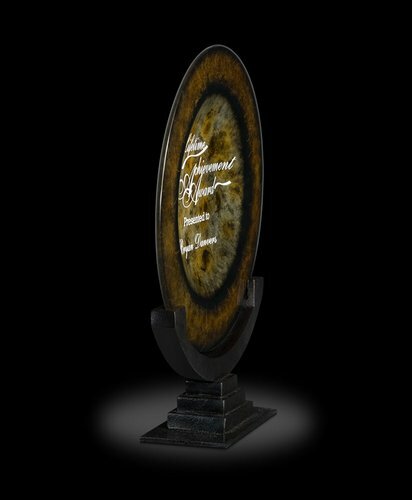 The Eclipse II art glass award plate features deep earth tones of chocolates and golds fuse together in a stunning artglass piece on a cast resin base. Max Imprint Area:6� dia. 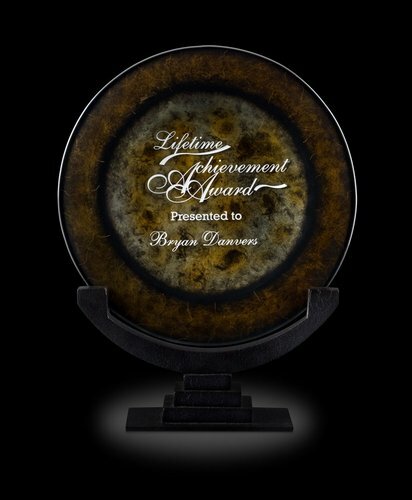 2-3/4 lbs.